If you’re a city dweller, you probably see farmers harvesting their crops. But how much do you know about what’s actually happening? We addressed some common questions. Why do farmers wait to harvest until the plants are dying? To farmers, the corn is drying, not dying! In fall, when temperatures cool, corn plants dry out, just like leaves on trees. Dried kernels contain less moisture, which means they can be stored without concerns about rot or mold. In fact, if the moisture level is too high, farmers use a grain dryer to dry kernels further. Did you know in South Dakota, 99 percent of the corn grown is field corn—not sweet corn? How do farmers get the corn off the stalk? Each stalk has only one or two cobs of corn. Modern combines grab the stalk from the ground and force it through a small area, removing the cob and the husks. The corn cob is fed into a cylinder where it’s turned, loosening the kernels, which are then filtered through a sieve. Where does the corn go after the farmers harvest it? Some corn is stored on farms in grain bins or silos. This allows farmers to control when they sell their corn. When they do sell, farmers typically take the corn to grain elevators or ethanol plants. About 35-40% of corn grown in South Dakota is exported; it arrives at ports in the Pacific Northwest via rail. Another 48% of our corn is used to make ethanol, while the remainder is used for livestock feed. Last year, 520 million bushels of corn stayed in the state for use in ethanol and livestock feeding operations. What kinds of technology helps farmers with harvest? Precision farming utilizes satellite, software, mobile apps, cloud computing and other information technologies to help farmers improve crop management, soil health and sustainability. 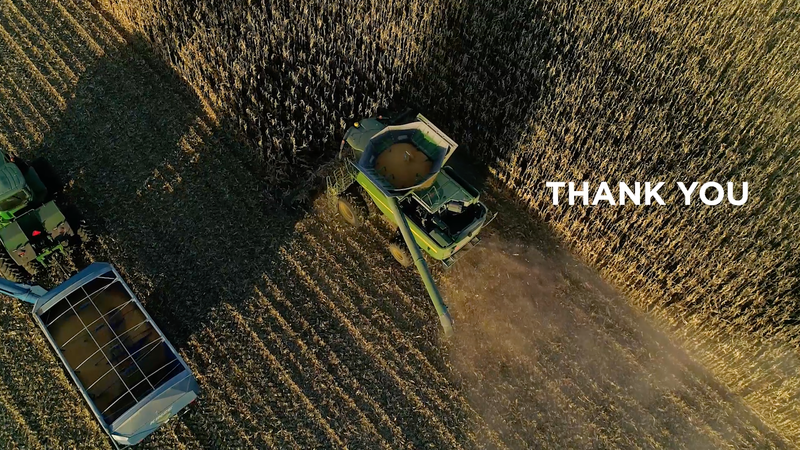 Some farmers use drones for real-time images of crops to help with timing at harvest. Advanced technology and production practices have increased corn production dramatically. 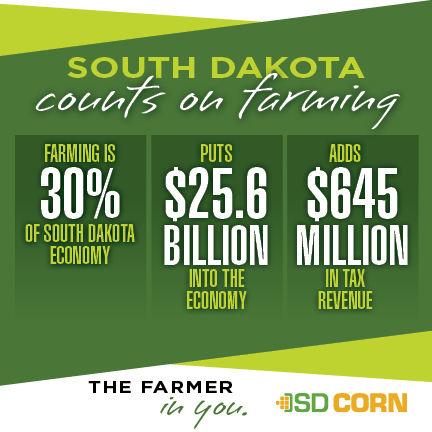 In 2008, South Dakota farmers harvested 585.20 million bushels of corn. 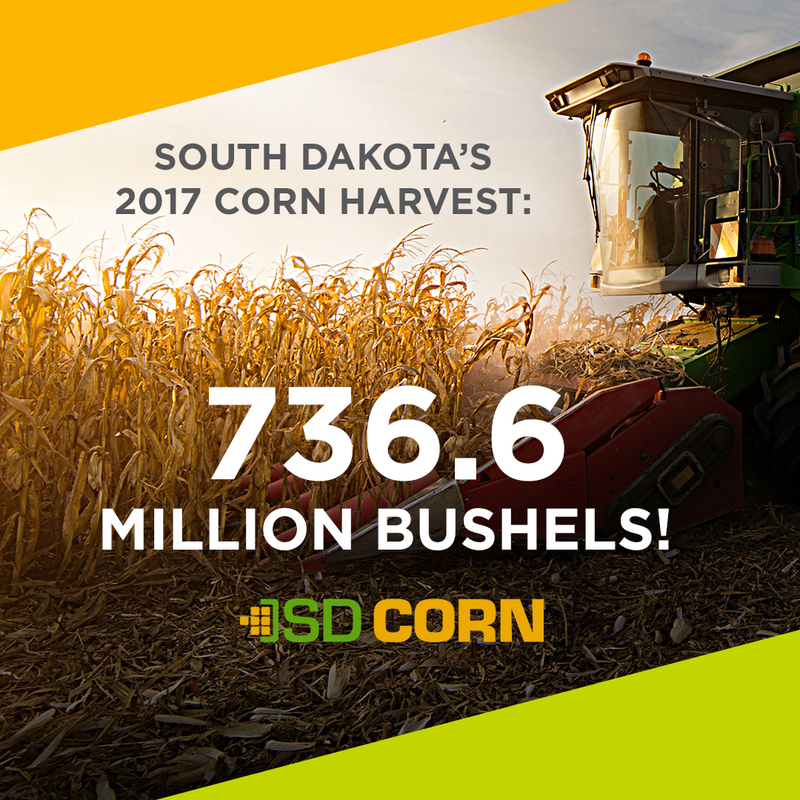 Despite the drought, in 2017 farmers produced 788 million bushels, the fourth largest harvest in state history. And the projected harvest for 2021 is close to 1 billion bushels! As you can see, South Dakota farmers’ use of technology delivers big results. Why are some fields completely empty after harvest while others still have corn stubble? This depends on the individual farmer’s practices. Some growers who also raise cattle will leave corn stubble and husks in the field for cattle to graze on. Some farmers use a practice called no-till, which literally means no tillage, or plowing. Instead, the stubble is left on the land to decompose and enrich the soil. Other farmers aren’t able or don’t choose to use no-till, so their fields look bare after harvest. No-till and other farming practices like rotation and cover crop usage improve soil health by protecting or enhancing microbial activity in the soil.